Genetic testing is a critical step in understanding any genetic disease. More than 1,800 unique mutations in the DMD gene have been recorded in people with the Duchenne and Becker forms of muscular dystrophy. Each mutation may affect your child’s body differently, so knowing and understanding your child’s specific mutation is important. The landscape of Duchenne is changing with new disease management strategies available and under development. 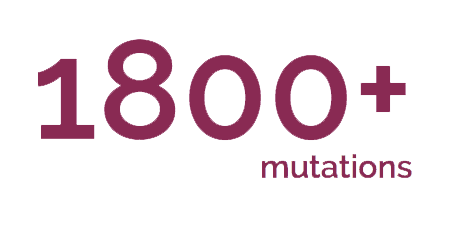 Many of these are based on specific genetic mutations. Knowing your child's mutation can affect decisions on which strategies might be appropriate for your child. To find out what specific mutation your child has, you will need a genetic test. With this information, you and your child's doctor can determine how to manage life with Duchenne, including whether your child is a candidate for clinical trials and whether there are any potential treatment options. Decode Duchenne provides free genetic testing, interpretation, and counseling to people with Duchenne or Becker muscular dystrophy who meet certain eligibility criteria and who have been unable to access genetic testing in the past due to financial barriers, such as cost or lack of insurance coverage. Decode Duchenne is administered by DuchenneConnect, a program of Parent Project Muscular Dystrophy, and is supported by Sarepta Therapeutics, BioMarin Pharmaceuticals, and PTC Therapeutics. A genetic counselor from DuchenneConnect will help interested patients and families find out if they are eligible to participate. Decode Duchenne automatically provides deletion/duplication testing with reflex to sequencing of the DMD gene for participants who have never had testing. The program can also provide sequencing only for those who have already had negative deletion/duplication testing and familial mutation testing. Additionally, repeat testing is available for individuals tested with older technologies that did not analyze all exons in the DMD gene. The Decode Duchenne genetic counselors can help determine which tests are needed.